The part about Hong Kong that has really imprinted upon me the most is the density of the city. Each of the subway stations I’ve been in there were people coming and going in mass. Trains would arrive at least every few minutes at the slowest rate and every minute at peak. In contrast CalTrain back home serves each station about every 10-20 minutes at peak to every hour off peak. At commute times the platforms are full for the express trains and less so for the local trains. Each subway station was composed of a network of underground tunnels with multiple exits out to the surface. If the train station was in a busy area there were up to 12 different exits for passengers to enter and exit the station. What was great about it is that each of the exits had a number so it was easy to find your way around. For example my hotel was just down the street from exit A2 at the Sheun Wan stop. 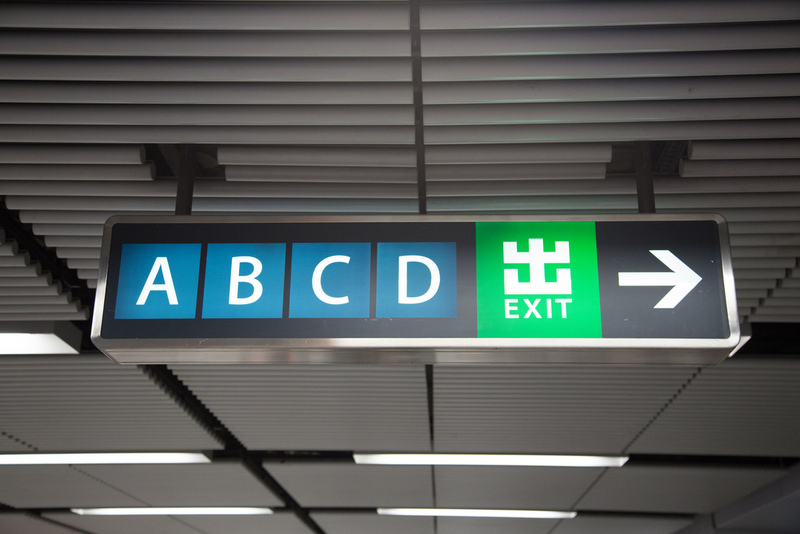 When meeting Jody for drinks it was as simple as “I’ll be the tall white guy at exit B2 at Wan Chi.” Sometimes to cross a busy street the suggested route was through the subway. Getting to the airport could not have been easier. 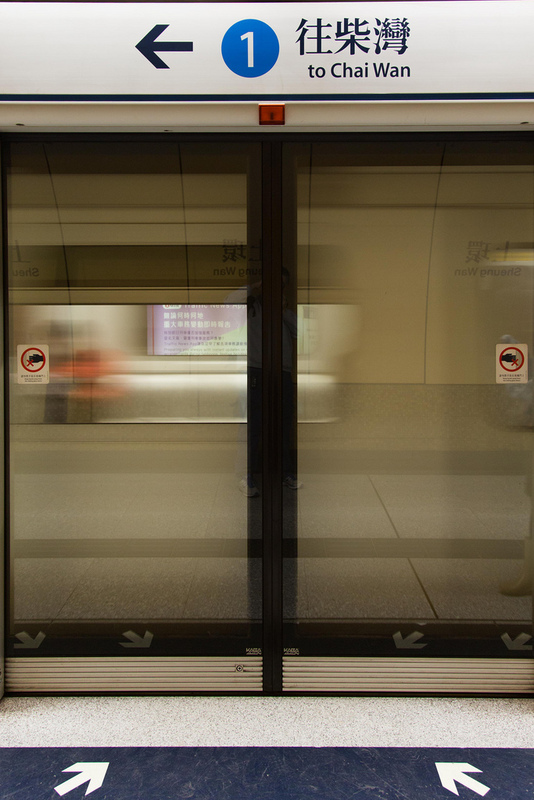 At the Hong Kong station downtown you could check your bags and then board the Airport Express train out to the airport. You didn’t have to drag your bags through all the stations to the airport. 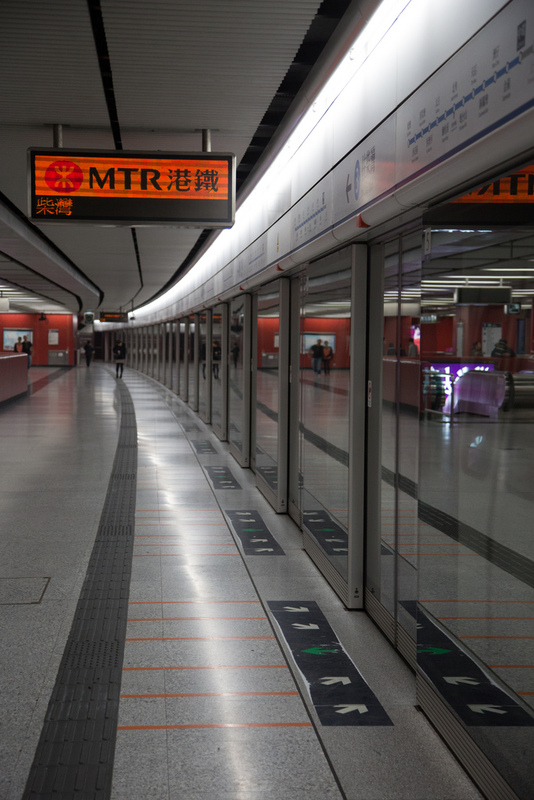 If you were a tourist (and it’s easy to prove being a white guy) its HK$300 to get a three day pass to all the subway you can consume with an out and back on the Airport Express. Your subway pass also can be loaded with cash to be used at many local merchants in lieu of a credit card. Pretty slick. 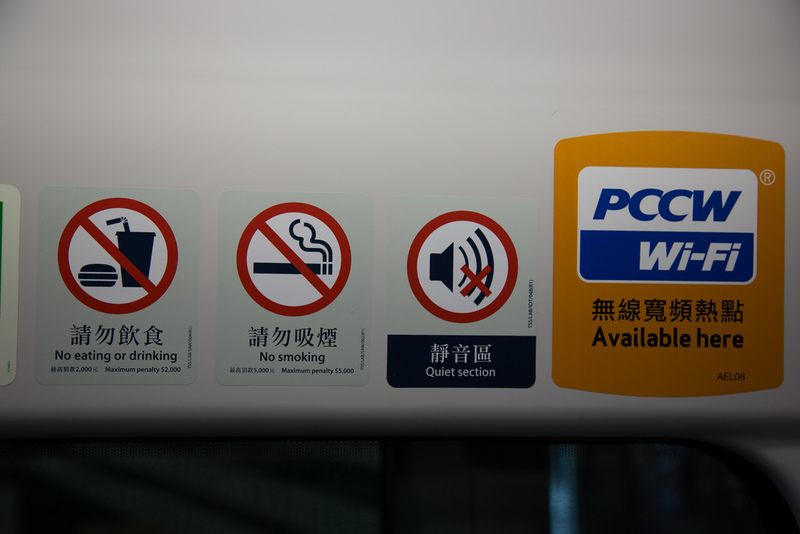 Plus they had quiet cars! Talk about bliss. One of the conductors stopped to take my photo. Woot! I peppered him with questions as I was super curious. The trains are very quiet yet run at speeds up to 300 kph (180 mph). In the United States trains can only run up to 79 miles per hour over land unprotected. If the train is elevated or otherwise protected from the common man, they can run faster. The whole experience was fun. 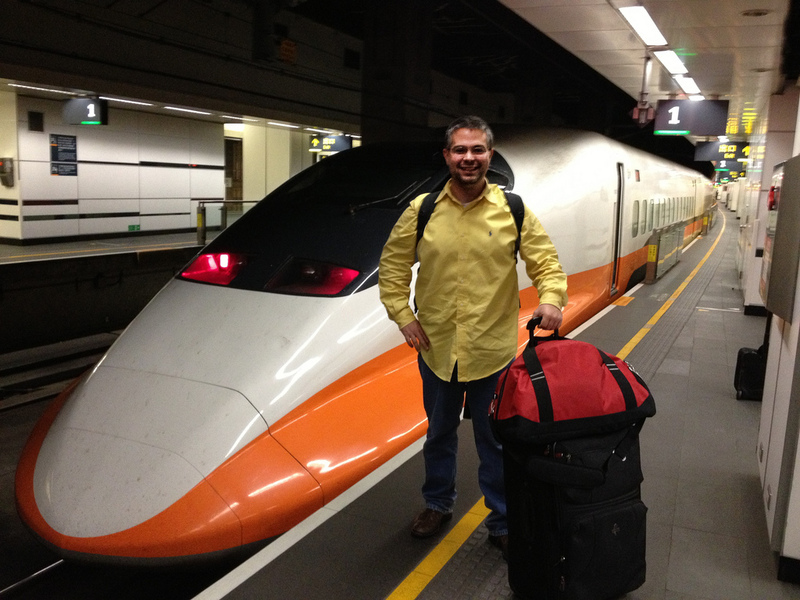 It was really nice in Hong Kong not needing a car as well as riding the high speed train in Taiwan. Now if only the Bay Area could learn from it’s Asian counterparts.